February 5, 2019 Dubai United Arab Emirates: Today, Nutella® lovers and fans unite all over the world to celebrate World Nutella® Day, coming together on social media and even at the office with colleagues, to share recipes and stories, and to savor the taste of the world's favorite hazelnut spread. Spontaneously created in 2007 by American blogger Sara Rosso, who decided to create a celebratory day to inspire and unite the global Nutella® community to share their passion for Nutella® on social media, World Nutella® Day quickly became a global phenomenon, as fans everywhere shared their love for Nutella®. 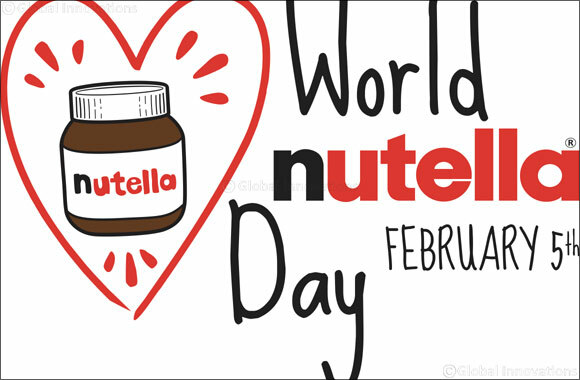 The love for World Nutella® Day continues to grow and last year reached a new whole level with fans. Fan interaction doubled on social media from the previous year and the word Nutella was mentioned on average, an amazing once every 0.5 seconds. Next Story : Game Changing: The Brambles Avocado Pizza!